Click here for a PDF of this week’s Resource Guide. Click here for an editable DOC file of this week’s Resource Guide. Romans 8.31-35: If God is for us, who is against us?… Who will bring any charge against God’s elect?… Who will separate us from the love of Christ? 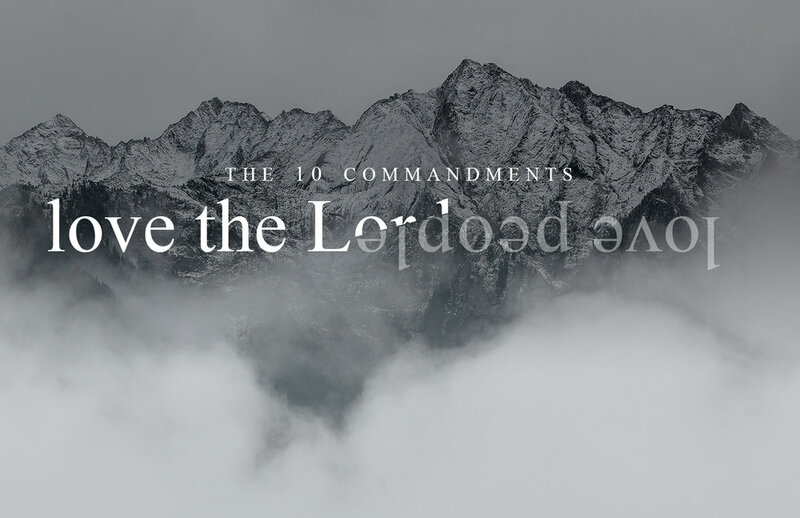 A Christian is one who has the omnipotent God in charge of his life. No assault can overpower God and there is no force that can compel Him. Therefore a Christian can stop worrying about how to fight his daily battles because there is no one who can overpower God. Nothing can penetrate the “front lines” of a Christian’s life unless God allows it to happen. An attack against a Christian is not merely an attack against a man but against the presence of God who fills the believer’s life. Two words… Chutzpah: Yiddish word implying shameless audacity, impudence; presumptuous nerve. Chutzpah breaches all social convention and tact to ask for that which it is deemed inappropriate or absurd to receive or expect… Parrhesia: New Testament Greek word implying boldness, trust, certainty, conquest, effective power, and expectation. Parrhesiaasks for and expects that which social convention considers impossible if not implausible. Question:When a Christian asks God for power is it chutzpahor is it parrhesia? Intimidation is a powerful and unique fear... Intimidation is powerful because it alone can cause a man to sacrifice the opportunities of tomorrow for the status quo of yesterday. Intimidation browbeats a man into deep feelings of inadequacy as his creativity, vision, and might wilt before it. Intimidation is unique because it is a fear that threatens our willingness to embrace God’s future for our lives. All intimidation has to do is recite reality because it wants to disqualify you because you are not perfect... Intimidation goes so far as to use our heroes against us by reminding us that we can never be as good as those we highly esteem/idolize! Click here for an editable DOC file of this week's Resource Guide. Acts 9.13–15: Ananias answered, "Lord, I have heard from many about this man, how much evil he has done to your saints in Jerusalem; 14 and here he has authority from the chief priests to bind all who invoke your name." 15 But the Lord said to him, "Go, for he is an instrument whom I have chosen to bring my name before Gentiles and kings and before the people of Israel. Ananias’ problem is our problem too! We have many people in our circle of relationships that we have judged unlikely (impossible?) to ever respond positively to Jesus Christ. Yet those we consider unlikely, God may consider a "sure thing" because He personally knows the hearts of all. I have noticed that the witness of any Christian is more effective than the witness of a pastor. People expect a pastor to speak about Jesus— after all we are paid to do it! People are far more impacted when their co-workers or friends talk about Him because this is unexpected (!) and because you are approachable and relevant because you share some of the same commitments and/or interests which your friends or co-workers can easily relate with. In the New Testament the “new” surpasses the “old” rendering it archaic, primitive, and obsolete (see Hebrews 8.13 as one example). You cannot enjoy the newness of your life in Christ while clinging to the old anymore than you can successfully replace your car engine’s spark plugs with matches and expect it to run—let alone start! prayerfully consider what steps you will begin taking TODAY! and the promises He spoke over us. Prayer is a powerful word. Mention it in a room full of Christians and watch the tone of the conversation become subdued. Invite people to dinner and faces light up. Invite someone to a time to pray together and anxiety arises. Most participants in churches across the country will find something else that demands their time rather than attend a prayer gathering— even when the gathering is scheduled on a night and time when a previously attended weekly event occurs! Most followers of Jesus Christ say they should pray more, but most of us rarely do. We can recite pat quips that “prayer is the most powerful thing we can do” but other less “powerful” pursuits generally seem to crowd it out. Nationwide the average attendance at prayer meetings is running less than 10% of a congregation’s attendance. How is it that something that God intended as a gift fosters so much intimidation and remorse? 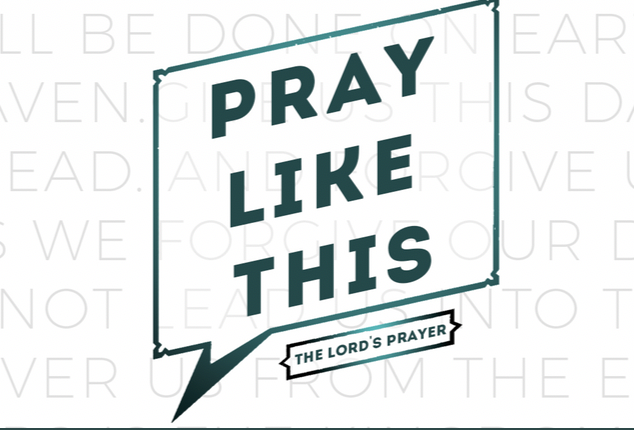 Is it possible that we have created an expectation for prayer that very few individuals can live up to? Welcome back! This year I began reading my “go-to” devotional again: My Utmost for His Highest by Oswald Chambers. Chambers was not particularly well known when he died from his decision to delay an appendectomy while a chaplain for the YMCA in Egypt with the British Army. He was known for his ardent faith, generosity, and his conviction that the Christian life doesn’t just happen. The Christian life is intentional, challenging, and requires a daily choice for faithfulness. Without this daily resolve followers of Jesus Christ will become nondescript residents of society with little to distinguish them from the world they reside in. Oh, some may still retain peculiar habits like go to church, pray occasionally, read the Bible or observe Christian holidays. But in reality the values, concerns, and pleasures of this world will draw them back and they will again be subject to its demands and mastery. Such Christians will hardly influence and impact lives around them. Our freedom is maintained by our steadfast commitment to struggle against “powers and spiritual forces” that seek to enslave us (Ephesians 6.12). How do we do this? “Be strong in the Lord and in His mighty power.” Free is the one who daily seeks the empowering of the Holy Spirit. There is nothing more heart-breaking than watching someone you love lose their memory. This personal and private treasury contains their knowledge, wisdom, history, sensitivities, and most of all relationships. The slow and relentless decay of one’s memory reduces adult intellect to infancy, vacates wisdom, erases history, neuters joy, and slowly disintegrates one’s most precious relationships. Watching my father lose his mind will forever be etched in my memory unless or until I might lose mine. There is no one like Him. He has no equal. From black holes to black panthers, was created by Him. He has enemies but no threats. He has friends but no peers. He is God alone. There are no others…God is exclusively God. We live in an age where exclusivism of any sort is close to being the unpardonable sin. Indulgent tolerance is encouraged so that it is understood that all religions are equally valid as expressions of each worshiper’s personal preference. What is often overlooked is that our confession of faith is based on the exclusive God whose inclusive love embraces all people. If God is NOT exclusive then the tenets we hold dear are, at best, moral aspirations not divine revelation.